Leadership today is all about two words: It’s all about truth and trust. You’ve got to have their back when they didn’t hit it out of the park, you’ve got to have their back when they hit it out of the park. In other words, trust is foundational to truly wholesome, productive relationships. I believe that. And, I noted that sometimes I get things upside-down by attempting to bank on truth when I should be investing in trust. We live in a culture where we play lip-service to the supremacy of truth. Truth is all important. Truth reigns supreme. Yet, the truth is, the truth isn’t all it’s cracked up to be. Don’t get me wrong. I believe there is great value in truth. The problem is, I don’t always know exactly what the truth is. I know what I have personally observed, but even that direct witness is shaded by my perception — my reality. And I also know that my perception isn’t always the most accurate reflection of an event. I may also know what others tell me that they have observed. And again, their observations are shadowed by their perception and further clouded by my perception and interpretation of what they’ve told me. So how do we attend to essential matters in an environment where there is no trust? 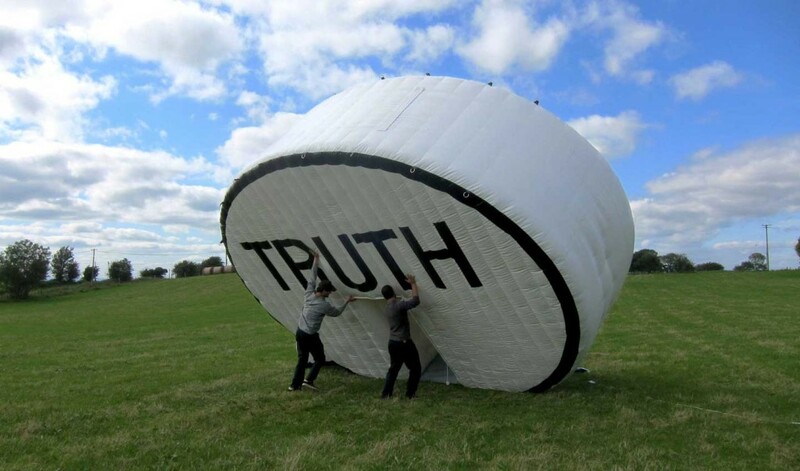 What do we do with our truth? I was conditioned to charge fearlessly forward when I have truth on my side. Indeed, this is the Western Civilization ideal. Sometimes my perception of the truth may also cause me to retreat shamelessly in the face of overwhelming odds. But either response must be done at our own peril and based on our perception of truth. Much is being said these days about the way that people react to certain situations. A timely example is the discussion about how police officers respond in anxious times to individuals of different races. Dealing with their perceptions of the instant and with the perceptions of experience or story, these officers determine what degree of response is necessary. What we are seeing is that the truth that they often hold about the danger posed by an individual of one race or another isn’t always the truth at all. Instead, it’s a product of stereotype and misinformation — and sometimes training and sometimes outright prejudice. And other times their reaction is exactly right. Choosing well is a difficult task. We need to understand that the human brain’s establishment of truth is an important element of decision-making and self-preservation. However, that doesn’t trump the importance of discernment in the process and in the moment. The application of the instant truth comes at great price. When we are in those situations we must be aware of the constant danger that our truth — our perception — could be flawed. And the larger question becomes, “Can I handle the consequences of a mistake?” Decisions must be made. Actions must be taken. But considering consequences brings us back to a place of careful discernment. I can operate in an environment where there is no trust. It won’t be pleasant and it may be dangerous. Even as I do my best, I must constantly test my truth. Seeking to understand the actions and reactions of others. Asking whether I can accept the consequences of acting on my perceived truth. Searching within for mercies I can extend both during and after my action. Trust should really come before truth. And truth should always be tested — both in and out of the presence of trust.